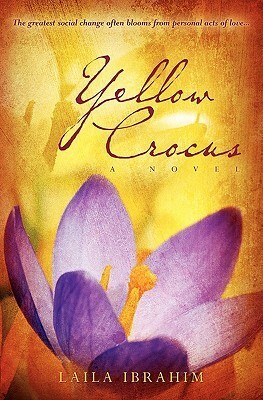 Our book club book for the month of April was Yellow Crocus by Laila Ibrahim. This is the story of Mattie, a black plantation worker and Lisbeth the plantation owner's daughter. The story begins with Mattie, nursing her son in her little shack of a house on the plantation. She's soaking in the last few moments with her baby boy. She is just waiting for "them" to come and get her. Eventually the knock comes and she leaves her baby with her grandfather (who will take him to a cousin to feed) and goes into the big house. She is now the wet nurse to baby Lisbeth. She doesn't want to like the baby but she can't help wanting to help her and soon little Lisbeth works her way into Mattie's heart. She is pretty much a full time mother to Lisbeth except for when the parents want to have some "time" with her. Lisbeth bonds with Mattie like a child would to her mother and they have a beautiful bond. Through the years things change and eventually Mattie goes back to the shack and Lisbeth's life if full of pairing ups and society.